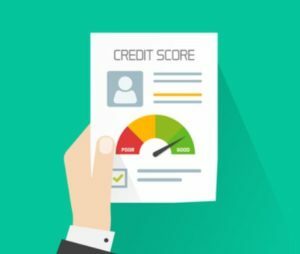 One of the techniques lenders use when assessing you for a mortgage is called ‘Credit Scoring’. This is a computerised system which allocates ‘scores’ to different aspects of your personal and financial situation. The scores are added up and you must pass a threshold value for them to be able to lend to you. Some things score higher than others. Being married with children, for example, might suggest to a lender that you are more stable than a single person, so it may score more highly. The actual scoring values are a tightly kept secret, to avoid sneaky applicants getting an artificially higher score. One of the major scoring factors is how well you have previously conducted your finances. When our clients make an application for a mortgage, we ask them for many important documents. One of these is a copy of their Credit File, which can be obtained free of charge from online credit referencing agencies. I am a huge advocate of everybody knowing about their credit status and what their own individual file can tell them. The file includes personal information about you (name, address), and detailed information about your credit cards, personal loans and mortgages. This includes up to 6 years history of how well you have conducted the accounts, including late and missed payments. It will also include public records like bankruptcy or repossessions, and a list of companies that have recently checked their credit history for a credit application or enquiry. Mortgage lenders, who don’t already know you, can rely to some extent on how well you have conducted your finances. 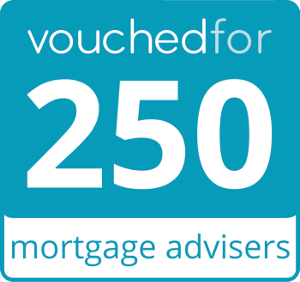 They will be looking at how reliable you might be with their mortgage repayments! However, here are 10 tips to boost your credit score. This could help your chances of getting the mortgage you need for that lovely new home! 1) Make sure you’re on the electoral roll – many people don’t realise this is essential for a good credit rating. 2) Pay all your bills on time, even a couple of days late can make a big difference. If you really can’t pay in full immediately, make sure you settle up before the end of the month. Credit agencies receive missed or late payment information from lenders on the last day of the month. 3) Ensure there are no incorrect details on your credit record – check it regularly and if the details are wrong, correct them. People often move house and change jobs without updating their records. 4) Try not to use more than 75% of your available credit limits on credit and store cards. This is a good practice to adopt and help you avoid overspending which can result in high charges. 5) If you have previously handled finances poorly, look into specialist credit card providers which help people to build and improve their credit rating. 6) Only apply for credit when you really need it. Applying for more than 4 forms of credit in a year can lower your credit rating. So keep track of what you have applied for and when. And NEVER take out Payday loans, or make cash withdrawals on your credit card. These suggest to lenders a lack of financial control and budgeting to your income. Many lenders for example will not lend to anyone using a Payday loan in the last 1-2 years. 7) Do not take out more than two different forms of credit within a six-month period. This can make you look more risky to lenders and severely damage your score. 8) Do not apply for more than one credit product at a time as each application can have a negative impact on your credit rating. Patience is a virtue when it comes to credit. Waiting to hear a response from one provider might seem frustrating but applying for multiple cards could harm your score. 9) Close old credit card accounts and cancel old direct debits – they will still show up on your record if you don’t get rid of them. 10) End financial associations with ex-partners. Whilst their own credit rating won’t impact yours, having taken out a product jointly with them will. How can you get a copy of your credit file? Contact Equifax.co.uk or Experian.co.uk, and you can order a free copy of your credit file online. You do not need to sign up for expensive ‘credit monitoring’ with them, just apply for your ‘statutory report’ – the link is at the bottom of the home page. Don’t ask for your credit score either unless you are curious – the credit scoring used by credit referencing agencies is different to those produced by lenders which are themselves all different. The report may take a few days to arrive, but check it thoroughly when you receive it. Making sure the information contained in it is accurate will help to boost your credit score. Sum of 10 + 5?